Hear true stories of marine research! In each episode of "Two Sea Fans," Mote Marine Laboratory scientists and their partners have fun and educational conversations with hosts Joe Nickelson and Hayley Rutger, who love communicating marine science to help listeners become more ocean-literate. New episodes are available every two weeks. Download episodes free by searching "Two Sea Fans" in the iTunes store. All episodes of “Two Sea Fans” are © Mote Marine Laboratory. If you have questions, comments or an interest in featuring "Two Sea Fans" on your website, please contact Hayley (hrutger@mote.org) and Joe (videojoe@mote.org). 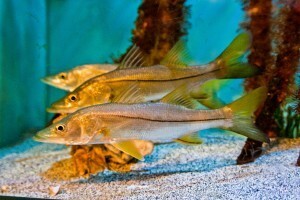 Dip a hydrophone into the Gulf of Mexico and you’ll be eavesdropping on plenty of “chit chat.” Many fish species make sounds, especially during important life history events such as mating. Dr. Jim Locascio, Manager of Mote’s Fisheries Habitat Ecology Program, plays some fish sounds and shares knowledge from his acoustic research. Helpful bacteria live on and inside fish (and us). 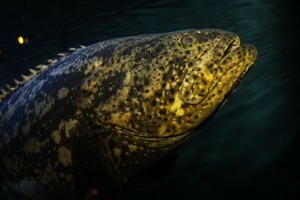 Dr. Andrea Tarnecki, a Postdoctoral Research Fellow at Mote, shares her research geared toward understanding fish-related bacteria and using some helpful bacteria to raise healthier fish in aquaculture, also called fish farming. And of course, Dr. Tarnecki indulges Joe’s interest in fish poop. Episode transcript provided by intern Mary Alice Blackstock. 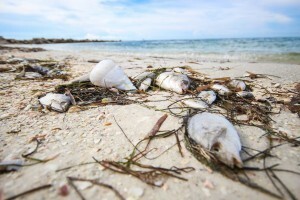 With a focus on the Florida red tides (harmful algae) that can kill fish and make Gulf of Mexico beachgoers cough, Hayley and Joe learn about Mote’s Environmental Health Program from its manager, Dr. Tracy Fanara. 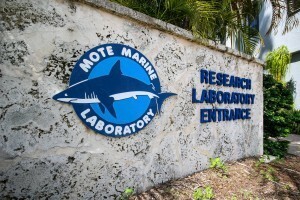 U.S. and Cuban shark scientists are building bonds through joint research. Dr. Bob Hueter, Director of Mote’s Center for Shark Research, and Alexei Ruiz Abierno of University of Havana discuss Cuba’s amazing sharks — including one rare species they tracked from Cuban to U.S. waters. They discuss the hurdles and triumphs of working together amid the tentative relationship between the two nations.